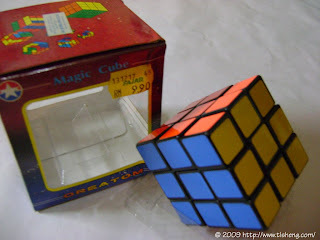 I first got my Rubik's cube back when I'm about 10 too but I don't even bother to solve it, not even a single layer. I'm impressed by your determination to at least solve 2 layers of it. Man, you're smart. It is so near with you but you don't bother it?? Sometime we might be late to discover it in our life, but never mind, the most important is in the end you addicted to it and solve it.. and finally you got a great result.